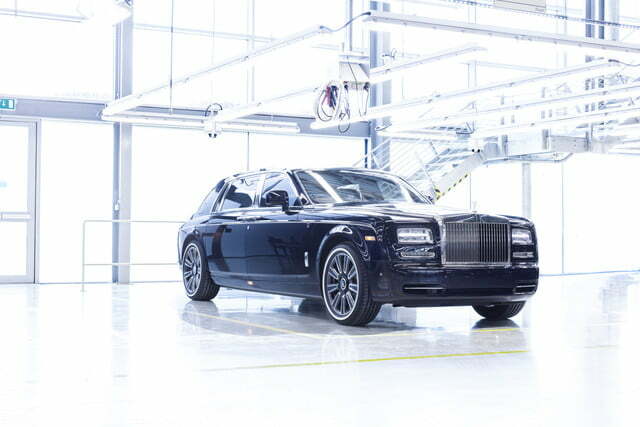 It’s the end of an era: Rolls-Royce has built the very last seventh-generation Phantom in its Goodwood, England, factory. The final Phantom VII marks the end of a 13-year production run. The milestone car is a long-wheelbase model commissioned by a renowned-yet-anonymous Rolls-Royce collector in a right-hand drive market. 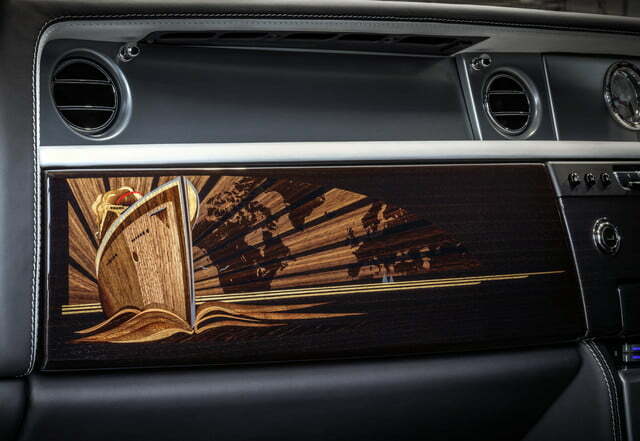 The customer is fascinated by 1930s design and iconography, so the marquetry on the dashboard and on the door panels represents the majestic boats that took passengers all over the globe during the era. The sea-inspired style continues with tone-on-tone embroidery that mimics the movement of waves. The seats and the door panels are wrapped in powder blue leather upholstery. 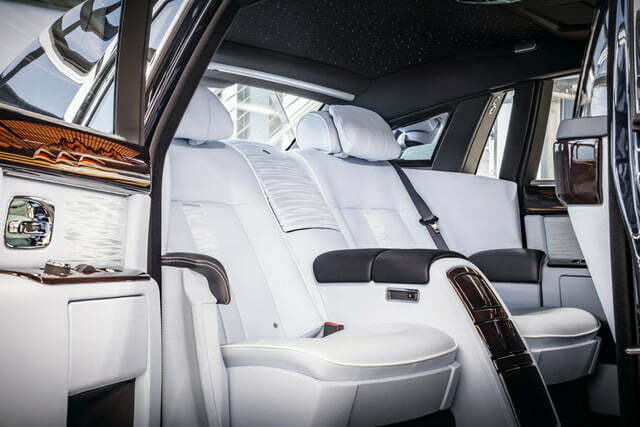 The custom-built Phantom is a testament to Rolls’ attention to even the most minute detail. 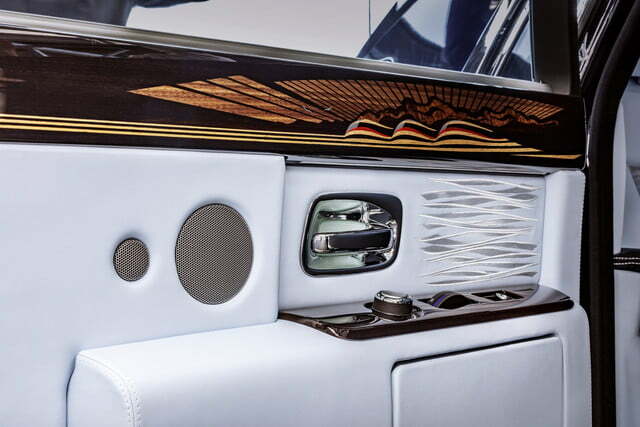 The clocks embedded in the dashboard and in the partition wall look similar to the radio clocks found in ocean liners like the one depicted on the dashboard. 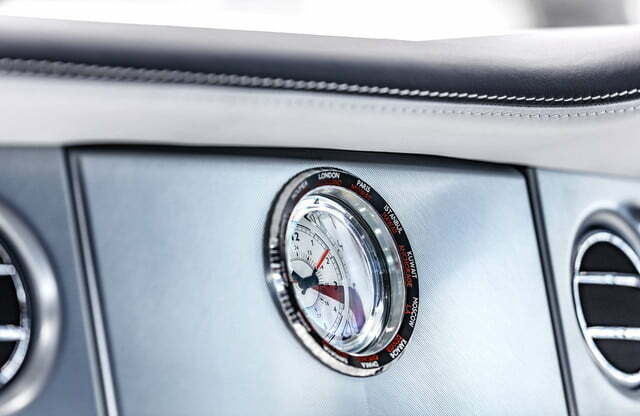 The driver can select one of 24 built-in time zones by simply rotating the clock’s bezel. Clearly, this Rolls was built to travel the world. The body is painted in a discreet hue named blue velvet. Double white pin stripes and an ocean liner logo on both fenders add a contrasting touch, and the last Phantom exudes effortless elegance with a set of whitewall tires. The marine-inspired modifications don’t extend to the engine bay. 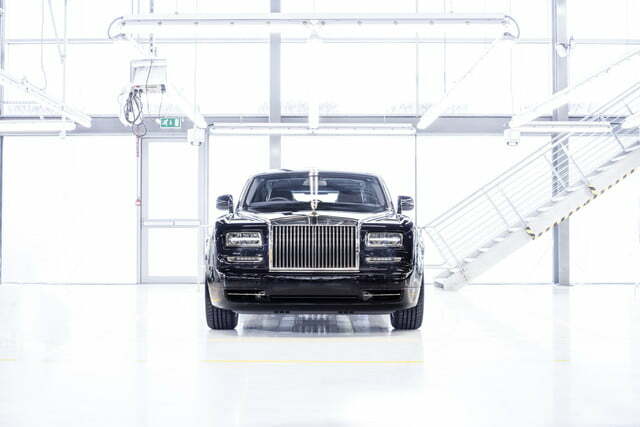 The very last Phantom is equipped with a mighty, 6.75-liter V12 engine that produces 453 horsepower at 5,350 rpm and 531 pound-feet of torque at 3,500 rpm. An eight-speed automatic transmission helps send the grandiose sedan from zero to 60 mph in under six seconds. 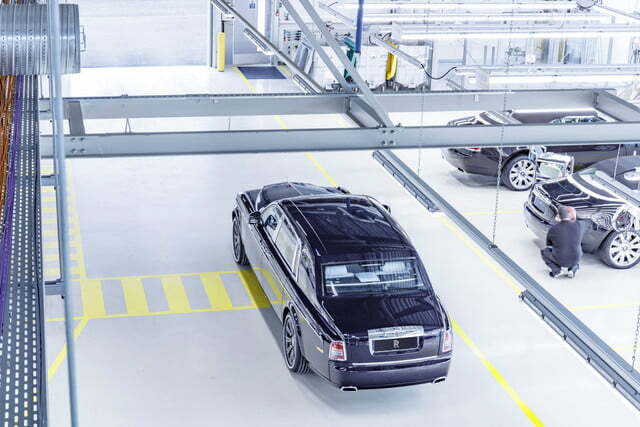 While Rolls-Royce has already started dismantling the Phantom VII production line, the nameplate will return for an eighth generation. A brand-new model built on an aluminum-intensive platform named the Architecture of Pure Luxury is scheduled to make its debut before the end of the year.